If you’ve purchased a standalone immersion circulator like the ones from Polyscience, chances are you are going to need a tub to attach it to. Many already come with a ginormous bin, but you might want to consider another alternative. 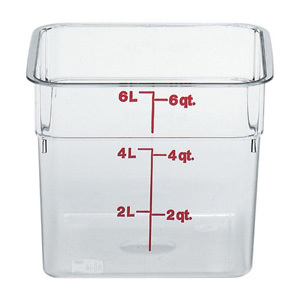 The Camwear Polycarbonate tubs of varying sizes are my choice for sous vide cooking. I have purchased the 8qt, 12qt, and 18qt which together have met all my sous vide needs. First of all these containers are very lightweight making them easy to transport and empty once you are finished cooking. Second they nestle within each other making them very easy to store. And finally they are the perfect depth for the polyscience immersion circulators. 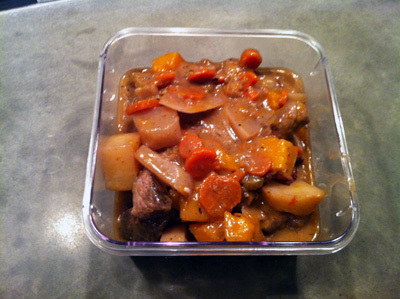 Using the smallest container for what you need ensures you have a very quick time to temperature. When I first began and was using the tub that came with my immersion circulator, it would take up to an hour to reach higher temperatures for cooking vegetables. Now I can simply select the smallest tub and have the water ready to go in 10 – 15 minutes for even the hottest settings. I also tried using a lobster pot in the past, but found that the heat loss was too great. These plastic versions covered with foil (skip the lids) do an excellent job of retaining the heat thus saving energy and money. You can find a variety of different sizes here.